The hosting plans of Host4Geeks feature free WHMCS license that let customers upgrade their web hosting business from time to time. One more unique thing about these plans is that they come with countless SSL certificates which you can offer to the client without any charge. All the hosting plans of Host4Geeks are equipped with SSD drives that make it extremely easy for customers to manage their businesses online. The reseller hosting plans of Host4Geeks also come with 24×7 network monitoring and everyday malware scanning. The company keeps client service at a high priority and its leavers no stone unturned to offer 365 days and 24×7 service to its customers. Ease in scalability is USP of Host4Geek’s hosting plans. Customers don’t need to transfer servers or make any changes to DNS records as they can upgrade their plans with only a few clicks. When you subscribe for the reseller hosting services of Host4Geeks, you get free domain account as well as WHMCS license. The company cares about the importance of your data and it takes all the necessary steps to avoid any data loss situation. Everyday off-site backup is done which makes sure your data is well protected and recovered very easily whenever you want. Nginx + LiteSpeed API is also there that makes sure the company website is loaded at a lightning fast speed without any technical interruption. It is something you will not get from other service providers as Host4Geeks gives a lot of emphasis on performance, efficiency, and accuracy. Host4Geeks also facilitates free and convenient migration. If you want to migrate your accounts for better service then you can do it with total ease by taking help from highly dedicated and experts people assigned by the company on this task. Host4Geeks offers both shared hosting and semi-dedicated hosting options. You can choose one according to the traffic and regular inflow of visitors to your website. Host4Geeks is known for offering some of the most reasonable resellers hosting plans in the market and its pricing is very hard to compete. They are four different types of plans offered. RS S is a basic plan that is available at a price of INR 479.2 per month. 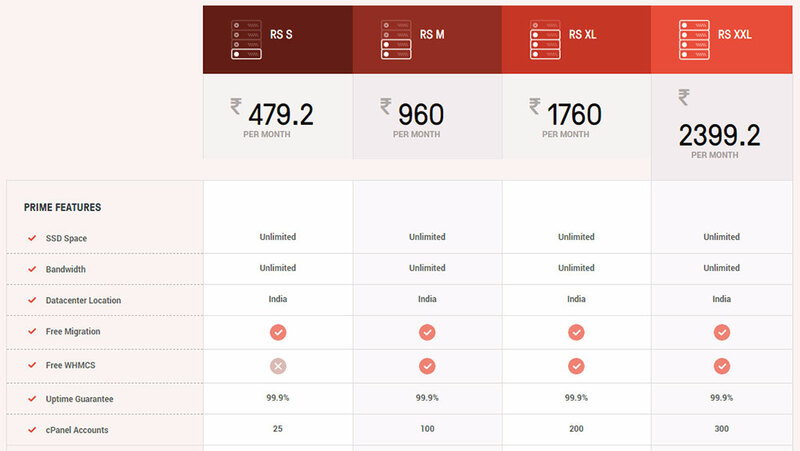 RS M is another plan that is offered at a rate of INR 960 per month. The RS XL is advanced that comes with enhanced features at a price of INR 1760 per month. RS XXL is a premium plan that features a lot of add-on benefits which you will not get in other plans. It can be availed at a price of INR 2399.2. All the plans offered by Host4Geeks are systematically designed considering the requirements of a wide range of customers. You can pick any of these four plans that will match your specific needs. There are lots of freebies offered in each of the plans and you can avail hefty discount by enrolling for their yearly subscription. If you are sitting on a low budget then Host4Geeks has also got a wide range of reseller hosting plans at an extremely affordable rate. If you are looking for reseller hosting services in the US or any other country then region-based plans are also available at a different price. You may also like: 13 Best Image Hosting & Sharing Websites You May Not Know. If you are searching for a reliable and expert reseller hosting services then Host4Geeks is a name that will be recommended by the technology experts. Within a short period of time, the company has created a huge database of customers, courtesy to its experienced and well-trained professionals who are available at the client’s service 24×7. If you compare rates of Host4Geeks’s plans with other competitors then you can easily figure out a reason why Host4Geeks has got such a positive reputation amongst the customers. This web hosting company has definitely set a big example for other companies by demonstrating how quality service can be offered to customers at most economical rates. 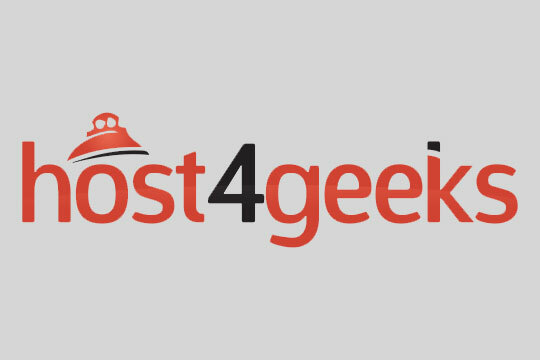 If you are searching for a reliable and expert reseller hosting services then Host4Geeks is a name that will be recommended by the technology experts.